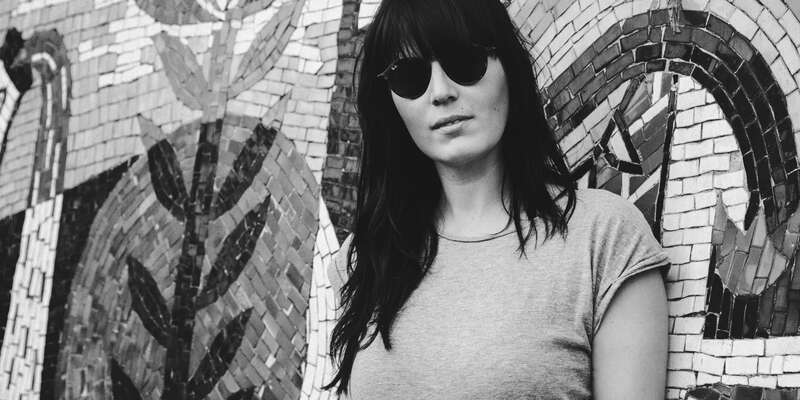 Berlin’s Cinthie will release "Ninetease / Treize" via Ground Service Records, backed with remixes from ZKY, one half of Cab Drivers and co-founder of Cabinet Records. Beste Modus co-founder Cinthie has been on a meteoric rise over the past few years with shows across the globe and her various co-run imprints Beste Modus, Beste Freunde, Unison Wax and we_r_house garnering her a lot of attention in the underground house scene amongst her own output on the likes of Watergate, Black Keys and more. Here though we see Cinthie join the roster of the fledgling Ground Service imprint, headed up by Jens Augustowsky aka ZKY who’s been a prevalent part of the underground scene for three decades via his productions as Cab Drivers, Cabinet Records and the Melting Point Record Store amongst other things. "Ninetease" leads on the package, employing classic house tropes such as bright string samples, choppy square wave bass and swinging 909 drums and infectious organ licks to create a dusty sample driven workout. "Treize" follows and tips the focus over to a jazz-tinged, walking sub bass line, airy dub chords and crunchy rhythms resulting in a gritty peak-time groove. On the flip label-head ZKY steps up to remix both originals, his interpretation of "Ninetease" is up first which twist the original mix into a deeper affair with swinging drums and soaring strings at its core whilst an acid bass hook smoothly wanders throughout. ZKY’s remix of "Treize" then closes the package on a raw, brooding tip fuelled by squelching 303 bass, modulating synth chords and stripped drums.